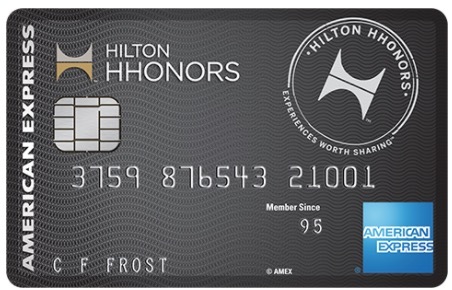 As we outlined last week, American Express has now released the latest Hilton cards – including the Hilton Honors, Hilton Ascend, Hilton Aspire, and the new Hilton Business card. The four options provide a range of benefits at corresponding sticker prices, with the Aspire and its $450 annual fee leading the pack. In the previous post, I was much more concerned with folks that already had the previous cards, and I shared a few opinions on whether or not to keep the cards in your wallet (or your sock drawer). What if you don’t have any of the oldies? No Citi Hilton Reserve, no American Express Hilton Surpass…should you pull out a new card? First things, first, let’s review a quick comparison of the cards. The Honors Ascend and the Hilton Honors Business card are virtually the same, just different category bonuses. All cards offer status with Hilton. Every card has car rental and travel accident insurance. The no annual fee edition appears to be a pretty good card to…totally ignore for now. The card doesn’t offer anything useful, neither for those that stay with Hilton frequently, nor for those that don’t. Silver status won’t get you much at a Hilton – late check out and early check in, 15% earned points bonus, 5th night free, and some free water bottles. I could make a case for the 5th night free, and I love extended check-in/check-out at hotels, but status is saturated, so it won’t make much a difference. Case in point – the other three cards will give you Gold status or better, and Hilton Gold status also comes with any of American Express’s Platinum cards. In case you haven’t checked out the Centurion lounges lately, a lot of people have the Platinum cards. A lot. I mean c’mon, I have two. You know, I’ll point out one last angle on this card. If you manufacture any spending, the Hilton Honors AmEx offers a decent way to hoard Hilton points for spending at groceries and gas stations. With 5x points on grocery store spend, I could definitely build a decent stash of Hilton points, with no annual fee. My opinion? Wait on this one. Unless you really want a new Hilton card and hate annual fees, I’d wait for American Express to up the ante. Maybe in a few months or next year, we’ll see a sign-up bonus that includes a free night! For $95, the Ascend upgrades a few of the things I find lacking in the no annual fee card. The sign up bonus is increased by 25,000 Hilton points, cardholders get Gold status, and 10 Priority Pass lounge visits each year. You’ll also get an extra point/dollar (over the no fee version) on gas and grocery spend, which is nice for some folks. American Express gives Ascend owners a chance to earn Diamond status with Hilton, as well as a free category 1-5 night. You’ll need to spend $15k on the card to earn the free night, and $40k to hit Diamond status. Here’s the old Hilton Surpass card, which has been replaced with the new Hilton Ascend from American Express. I currently have the Ascend, since I previously held a Surpass from American Express. I’ll be hanging onto it until the next annual fee hits, but I’ll likely cancel after that. I don’t think the Ascend is really anything special. If you’re considering the Ascend, my recommendation is to move up or down. If you’re scared of the annual fee, just hang onto the $0 version of the card. If you don’t mind that $450 fee on the Aspire, go for it. I think the Aspire really has potential, to be honest. That $450 annual fee is steep, but for someone that books paid stays at Hilton properties frequently, or that wants status for a special trip, the Aspire has a lot of potential. First, you’ll get automatic Diamond status with Hilton, meaning upgrades, free breakfast, you know the drill. You’ll get an automatic free weekend night, and another after $60k spend within the year. You’ll also get a $250 airline fee credit, and a $250 Hilton resort credit. If you value these highly, that offsets the annual fee right away! I’d recommend the Aspire card for folks that want Diamond status for a special Hilton stay coming up (close it after the first year), and for those that want to push a lot of spend through restaurants or airfare (though I’d argue there are better cards for this kind of spend). If you don’t fall into one of those categories, wait for a higher bonus offer on the card, I bet we’ll see a little extra in the next year or so. Looking through the chart, you’ll notice that the Ascend and the business version of the Hilton are very similar. Really, the only difference is in the spending categories. Both cards earn 6x Hilton points on US gas station purchases, while the Ascend earns 6x for every dollar spent at US grocery stores, and the Business card earns 6x on shipping, telephone services, restaurants, car rentals, and airfare booked directly with airlines or on AmEx Travel. Unless you really make use of some of the Business card’s bonus categories, my advice remains the same as the Ascend – skip it for the no fee version or for the Aspire. At $95, it just doesn’t bring enough value to my wallet, and I think there are plenty of other cards you’d be better off using. I think these cards offer value to particular travelers – those that truly enjoy Hilton properties, use the points frequently, or would benefit from Diamond status while holding the Aspire card. I don’t think any of them are daily drivers, and with Hilton’s dynamic pricing, I hesitate to hoard my Hilton points without redemptions on the horizon. But hey, enough of my rambling, what do you think? Are you going to get one of the new Hilton cards, or hold off for now? I’m sorry… but there’s just SO much wrong up there! You didn’t even look at the chart you posted a picture of. Aspire earns a 2nd free night after $60k in spend, not $15k. 7x points are on restaurants, rentals and airfare… NOT grocery or gas. The grocery / gas is 6x on the ascend which earns 1 free night after $15k spend. Sorry Shabs! Totally oversight on my part, I made the chart myself for the last post 🙂 Edited the post to reflect the accurate information. Somewhere in translating the chart to the written post, I got some of the benefits mixed up, thanks for keeping me honest! Haha, i was definitely not saying you were dishonest. Just that there was a lot of incorrect info in there, almost as if someone didn’t have morning coffee. Thanks for the write up. I just got my Aspire card. It will be worth the Annual fee for year 1, then I’m not sure. Maybe…. Where do you do find that aspire card has 7x for groceries? Apprears to me its only earns 3x points. Am I missing something? I also have Hilton Honors card that earns 5x for groceries. Since I have diamond status (with Aspire card) that earns 50% bonus on base points, I wonder if I could get a total of 7.5 points for grocery spend if I use the honors card. ? Hey Marcus, thanks for pointing out my error! I meant to write 7x on restaurants, car rentals, and airfare; not on groceries! Regarding the 50% bonus, I believe that only applies to base points earned from Hilton stays themselves, not on points earned from the credit card. The bit about MS can easily be put into ascend’s comments. 6x hilton points @ $60k spend a month is 360,000 points. 380,000 points, as a reference, is what’s required for 5 nights at hilton’s top properties. This person would be doing that monthly almost. That would make for some insanely good vacations. Good call! If you need the Hilton points, definitely worth it – plus you’ll easily earn Diamond status with even half that level of MS on the Ascend card…you might have just convinced me to keep mine.. The write up on the aspire still has the part about gas and restaurants. Thanks for article; I didn’t realize before about the different earning structures. If you really want to rack up the Hilton points, the Aspire alone just won’t cut it (though the free one is probably a better long term supplement card even though it is 5x and not 6x for gas and supermarkets). I really think that the fact that the Aspire gives a free night at signup is great, and not covered enough. I agree on the no-fee card, don’t go out of your way for it, but not a bad card to hang onto if you have it. I think we’re spoiled with 2-3 free nights from the likes of the Ritz Carlton card and the old Citi Hilton Reserve, so the single free weekend night doesn’t seem as fancy! Cam, I have the Ascend card, but am wondering if the Business card would not be the better card, for the same price. I did not see any sign-up bonuses on your chart. Would it be better to cancel Ascend, and then get HHonors Business, or do a product change? Hey Byron, thanks for commenting! I didn’t want to add the sign-up bonuses, as those often change throughout the life of the product. Right now, the Ascend and the business have the same bonus – 75k Hilton after $2k spend in 3 months, and another 25k Hilton after an additional $1k spend in your first 6 months. For which card to keep, the important thing to consider here is the bonus categories as that’s really the only difference between the two cards. If you’re putting a lot of spend on the business card, you’ll get a second free night after $60k spend, not a benefit of the Ascend. Totally up to you, but I’d lean toward the business version if you’re between the two. Make sure you open a new business card, and don’t do any product changes though, so you can get the sign-up bonus! I had the Surpass in the past and thought maybe an issue getting the Business version. I called AMEX and they asked for the last 5 digits from my old Surpass and they said completely different cards. They said I should get the points if I meet the spend. Got approved. Will soon cancel the Ascend when my free night finally hits at Hilton. The Business version gives me the opportunity for a 2nd night at $60K. I doubt I will hit that. Strangely, I now have 8 Amex cards. Just got the old Blue card too. Awesome! How many of those AmEx cards are charge vs. credit, if you don’t mind my asking? isn’t 3x on anything, 5x on gas and groceries (more than the amex blue everyday) worth use it? or are the points so hard to use that it’s not worth it, at hilton? Hey Becki! It’s really up to you, I prefer to bank my points with more flexible currencies – AmEx Membership Rewards, Citi ThankYou, SPG, or actual cashback (I tend to stay at AirBnBs over hotels). If you use Hilton a lot and have a lot of spend in those areas, go for it! I will mention that AmEx Membership Rewards transfer to Hilton 1:2, so something like the Premier Rewards Gold may be worth it to you too. The PRG earns double MR on gas and groceries (and restaurants), which equals 4x Hilton. Slightly less, but you’re retaining the ability to transfer to other partners if/when you choose. i don’t tend to stay anywhere, lately, and i keep forgetting about the SPG card. thanks for the reminder! This is the first place that I’ve seen say the Ascend’s free night at $15k is a cat 1-5. Maybe this was true a year ago? I don’t believe there are any cat restrictions now. Plus, I guess there’s no award chart either so I’m sure it’s just outdated.